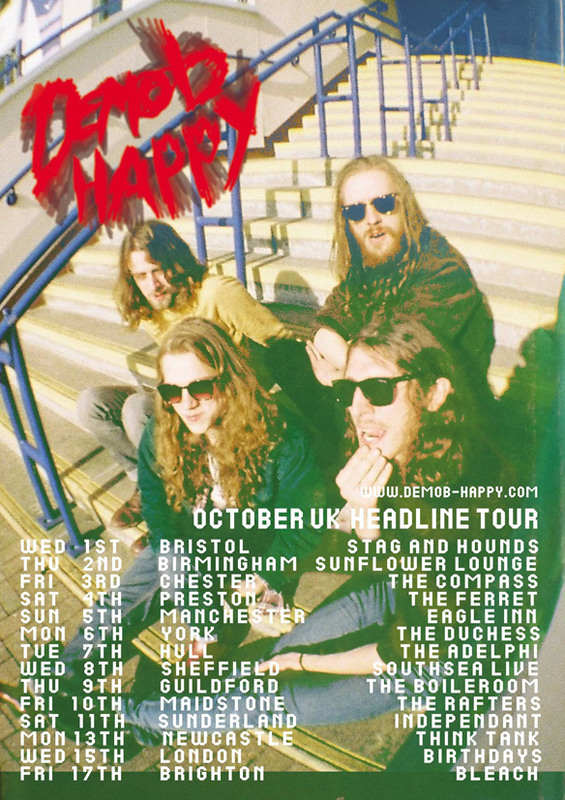 News has just come in of Demob Happy‘s first proper single on the eve of them heading out on their first headline tour. Succubus is coming out on 17th November on Milk Parlour Records on 7″ and download and will be backed with a cover of The Technoheads I Wanna Be a Hippy. The band’s tour starts tomorrow in Bristol and ends up with a hometown show at Bleach on 17th October. This entry was posted in Uncategorized and tagged Blog, Brighton, Demob Happy, Music, Succubus by brightonmusicblog. Bookmark the permalink.